SP President Akhilesh Yadav has handed over the responsibility of the election on Meerut-Hapur Seat to Shahid Manzoor, who was the party candidate from here in 2014 and was once again preparing to contest from the same seat. Once bitter rivals, the Samajwadi Party (SP) and Bahujan Samaj Party (BSP) are now fighting the 2019 Lok Sabha elections together. Going ahead in the direction, the SP leadership has made senior party leader and former minister Shahid Manzoor in-charge of the Meerut-Hapur Lok Sabha seat from where Haji Yaqub of the BSP is contesting as the alliance candidate. In the 2014 election, the two parties had contested against each other. After the SP-BSP alliance for UP, the Meerut- Hapur seat has gone to the BSP according to the seat-sharing arrangements. But the alliance leadership wants to ensure victory on every seat for which the party leaders and workers of both the parties have been instructed to support each other’s candidates. 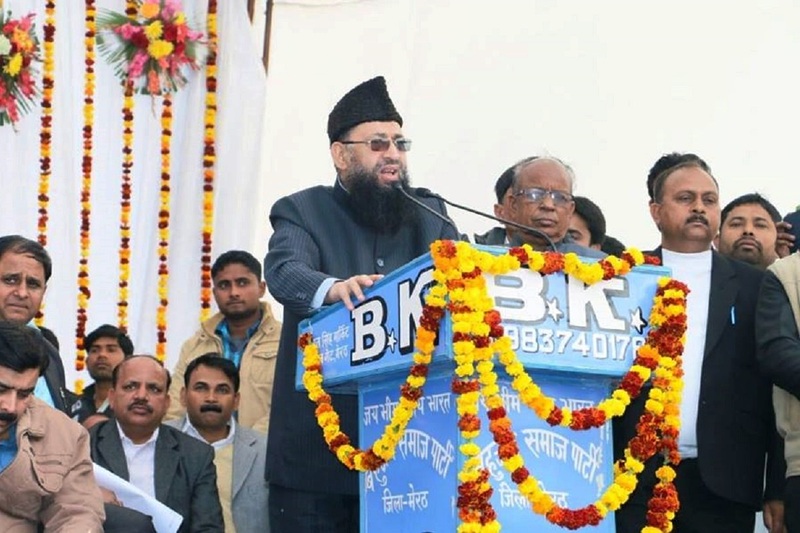 Since BSP has fielded Haji Yaqub from the Meerut Lok Sabha, the SP leadership has instructed the influential leaders of the area to extend support to him and ensure his victory. Putting aside all differences too, Shahid is also ready to take the new responsibility he has been handed over by the party president. “The leadership has taken this step in the greater interest of the party,” he said, adding that whatever responsibility he has been given he will discharge that with utmost sincerity. I am responsible for SP and the BSP will look after their men, he added. The sources close to Shahid say that he is not happy with this change in the scenario after the forming of the alliance as all these years they have been politically opposing each other and now suddenly they have to be together which raises discomfort. However, in his reaction, Haji Yaqub says that this alliance is of hearts in which the leaders and workers of SP and BSP are working together to ensure the victory for the alliance in the Lok Sabha elections. SP President Akhilesh Yadav has handed over the responsibility of Meerut-Hapur Lok Sabha seat to Shahid Manzoor while his son Nawazish is the in-charge of Kithore assembly area. Haseen Chaudhary has been given the charge of Hapur assembly area, Adil Chaudhary for Meerut South, Rafiq Ansari for City and Parmedra Singh Ishu for Cantonment assembly areas. “The party President has given strict directions that the leaders fulfil the responsibility given to them with utmost sincerity,” said Rajpal Singh, district president of SP, adding that the leaders would have to share the photos of their public meetings on social media as well. Party leaders are already active on social media and sharing their pictures, told Singh.